The City of Bellingham is the 13th largest city in Washington State will close 100,000 residents. It is a thriving port community in Northeast Washington State, and a wonderful place to live. Like a lot of communities in recent years, however, it has seen its share of hard times given the recent economic conditions. This is especially true in several of Bellinham's core industries. Due to these unfortunate economic circumstances and times, many residences of Bellingham have been forced to file for bankruptcy to wipe out debt that they can no longer afford to pay if they are to continue to support themselves and their families. Ever wonder what it would be like to never get another harassing phone call from one of those dastardly debt collectors? Can you imagine a life where you never had to pay another credit card bill? Are you struggling in the aftermath of an unforeseen medical emergency? What would your life be like if all of your medical bills and hospital debts were simply wiped out and eliminated? It may seem like fiction. But, our Bellingham bankruptcy attorneys are here to tell you that this is no joke. If you qualify, bankruptcy completely wipes out or "discharges" all qualifying debts. This means that once your case is complete, the debt is completely wiped out, never to be collected upon or paid again! Bellingham has the distinction of being the northernmost city with a stable population of more than 50,000 in the contiguous United States. It also home to Western Washington University (WWU), one of the largest employers in Whatcom County. Due to the recent economic downturn and continuing financial uncertainty, many Bellingham residents have experienced job loss, increased debt, as well as mortgage and car loan delinquencies. They have also faced an unstable housing and real estate market. As a result, many of our Whatcom County friends and neighbors continue to face economic uncertainty and hard times. If you have been struggling just to maintain a roof over you and your family's head and cover other basic necessities, it may be time think about starting over financially. If you qualify, filing for bankruptcy just may be your best option. 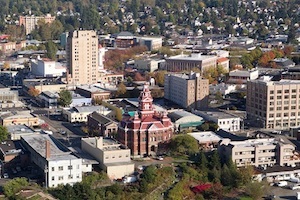 Our Bellingham bankruptcy lawyers serve clients throughout Whatcom County including the cities of Ferndale, Lynden, Blaine, and Everson. If you qualify, bankruptcy protection and debt relief is your legal right. Stop struggling every month. Get our of debt now! Bellingham is well known for its easy access to numerous outdoor activities in the North Cascades and San Juan Islands. But, it's hard to enjoy life when every month is a struggle just to cover the basics of life. Many of our Bellingham clients find themselves hurting and facing financial devastation through no fault of their own. 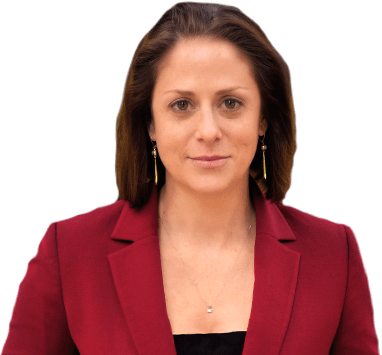 Often, things like divorce, unforeseen job loss, caring for elderly parents, medical emergencies, and a host of other factors simply conspire together to create a perfect financial storm from which there is no shelter or relief. If this sounds familiar, we invite you to call bankruptcy offices and speak to one of our Bellingham bankruptcy lawyers. We want you to know that you have very important legal rights and options. Our Bellingham bankruptcy lawyers offer a free, no obligatioin consultation. Considering Bankruptcy in Bellingham, Washington? Unable to Continue to Pay Your Bills? Are You Constantly Being Called and Harassed by Creditors? Debt Relief Could Be Just One Phone Call Away! Bankruptcy is a Legal Right! Call now to speak with an Experienced Washington State Bankruptcy Lawyer today! Chapter 7 Bankruptcy discharges (wipes out) qualifying unsecured debt. Unsecured debt is debt that is not attached to collateralized property. The most common types of unsecured debts are creditor cards and medical bils. Payday loans, broken apartment leases, and car repossessions debt (the remaining loan balance on from vehicles that have been auctioned or otherwise sold after the repossession) are other common unsecured debts. If you qualify for Chapter 7 Bankruptcy, all of your qualifying unsecured debts will be discharged where not one further dollar will need to be repaid. This is a permanent discharge where creditors can no longer take any collection or other legal action against you to try to recover this debt. The first step in determining whether you may qualify for Chapter 7 bankruptcy is to apply a Means Test that has been implemented under the U.S. Bankruptcy Code. If you meet the income living expense requirements under the Means Test, there is no presumption of abuse for you to qualify for a Chapter 7 discharge. If you are over the Means Test limit, you may still be able to qualify for Chapter 7 protection. The next step is to see if there would be actual abuse to qualify for a Chapter 7 discharge based upon your current income and expenses. Our Bellingham bankruptcy lawyers are skilled when it comes to analyzing cases under the Means Test. If there is a legal way to qualify you to file for Chapter 7 bankruptcy debt relief, our attorneys will find it. A Chapter 7 Bankruptcy case usually is completed within about 4 months from the date is it originally filed. Most Chapter 7 Bankruptcy filers keep all of their property, but it is important that anyone considering filing for bankruptcy consult with an experienced bankruptcy attorney to value all of the debtor’s real and personal property, as well as determine which state or federal bankruptcy exemptions should be applied to keep that as much as possible, if not all, of that property. A good Bellingham bankruptcy attorney knows how maximize their clients' protection and relief under the Federal and Washington State bankruptcy laws. Most of our Whatcom County bankruptcy clients are able to keep 100% of their property when they file through the use of what are known as "exemptions". These exemptions allow a filer to retain their possessions all the way through their bankruptcy proceedings. A debtor can only utilize a Chapter 7 Discharge once every 8 years. If you have filed for Chapter 7 Bankruptcy in the past 8 years where you received a debt discharge and then bankruptcy filing was at least 4 years ago and would have otherwise qualified for Chapter 7 Bankruptcy again, you will instead have to file a Chapter 13 Bankruptcy Plan to repay at least a small portion of your debt (with as low as a $100/month Chapter 13 Plan payment for 36 months). At the end of your Chapter 13 Bankruptcy plan, the remaining unpaid balance of your qualifying unsecured debts will be discharged. Our Bellingham Chapter 7 bankruptcy lawyers serve clients throughout Whatcom County and Northeast Washington State, including the cities of Ferndale, Lynden, Blaine, and Everson. A Chapter 13 Bankruptcy requires a debtor to repay at least a portion of his or her debts. The amount of debt that must be repaid in a Chapter 13 Bankruptcy is based upon the debtor’s disposable monthly income which is calculated from deducting the debtor’s reasonable monthly living expenses from the total household income. Our Bellingham bankruptcy lawyers will do everything legally possible to maximize your relief under the Chapter 13 bankruptcy code while putting together a payment plan that you can both afford and that will have the best chance of being confirmed by your trustee. The Means Test is first applied to determine the minimum payment the debtor can afford based upon his or last 6 month average of household income and reasonable and necessary living expenses. However, if the debtors’ household income has since increased or decreased from this six month average of income, the debtor may have to pay more or can possible pay less in a Chapter 13 plan to his or her unsecured creditors than the projected disposable monthly income calculation on the Means Test. Chapter 13 Bankruptcy is also filed by people who qualify for Chapter 7 Bankruptcy, but wish to repay certain nondischargeable debt in lower monthly payments that the debtor would be able to negotiate on his or her own if he or she did not file for bankruptcy. This happens in a variety of circumstances and can be a little confusing since Chapter 7 is usually the preferred path if you qualify. But, as you will learn when you speak with one of our Bellingham bankruptcy lawyers, there are times when pursuing a Chapter 13 bankruptcy is the best option. This typically occurs when someone has a steady income and wishes to save some of their assets that have an underlying debt. For example, if you are behind on your mortgage due to a job loss and have recently gone back to work, you can file a Chapter Bankruptcy 13 Plan to repay your mortgage arrears in payments for up to 60 months so long as you can now afford to resume your regular monthly mortgage payment as well. If your car loan is at least 910 days you, can may also be able to “cramdown” or lower you car loan balance to its fair retail market value. This is potentially huge depending on your car and the current amount of equity in it. In many cases, you can also lower the car loan interest rate. Chapter 13 Bankruptcy can also allow you to repay IRS and other tax debt without paying any further interest through a restructured plan approved by the Chapter 13 Bankruptcy trustee and bankruptcy judge. It also allows you to repay the value of the property that would be liquidated (unexempt and unprotected property) if you have would have filed a Chapter 7 Bankruptcy over the life of the Chapter 13 Plan and still all or most of your qualifying unsecured debt. And in cases where your house value has declined where there is not even one dollar of equity to pay the second mortgage if the house was sold, you can utilize Chapter 13 Bankruptcy to strip and discharge the second mortgage and still keep your house. This is complicated process that requires the guidance and assistance of an experienced bankruptcy attorney. 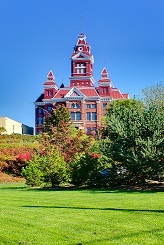 The Whatcom Museum (housed in the Old City Hall, Lightcatcher building and Syre Education Center) was originally constructed in 1892. It was originally constructed as the City Hall of New Whatcom. This was before it was later brought together adjoining towns to form what we now know as the City of Bellingham. Our Bellingham bankruptcy services law firm has helped many homeowners strip their second mortgage and still keep their homes, thus eliminating the all of a substantial portion of the “underwater” amount of their home so they can later sell it and at least break even, as well as give them the chance to build more equity in their house again much sooner than if the second mortgage was not stripped and discharged. Call now for a free initial consultation and case evaluation. One of our Bellingham bankruptcy attorneys can review your finances and help you determine if you qualify for bankruptcy protection and debt relief. Our Chapter 13 bankruptcy lawyers serve clients throughout the Whatcom County region and the Greater Puget Sound, including the cities of Ferndale, Lynden, Blaine, and Everson. Our Whatcom County bankruptcy lawyers offer a free confidential case evaluation and have helped many people get a Fresh Financial Start!